Improved video covers: You can use Youtube urls for video covers now. Also, the video covers are now integrated with the WP video support. Multi-author: Now it’s possible to indicate more than one author for posts. New system of typography: The typography has been improved to maintain a compact style in the entire page and simplify the configuration for the user, you can define the typefaces and sizes for basic elements. New color system is used internally, this will facilitate the use of “color templates” in the future. Format tags in post titles and post subtitles: You can use format tags in the post titles and subtitles. AJAX Navigation animations: Now you have available a series of transition effects for AJAX navigation. New and old version are included in the download. Some options would be lost in the update, so it’s recommended to make a backup before. 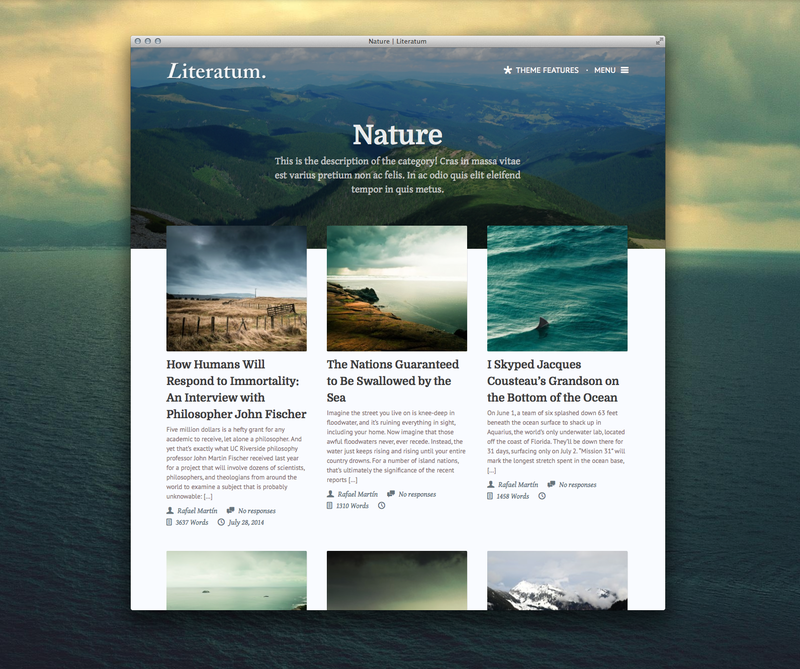 Literatum is a perfect theme for writers and online journals/magazines that are looking to display their articles in a clean and modern way, with an easy navigation and focusing the reader?s attention on the content. More category templates coming soon? 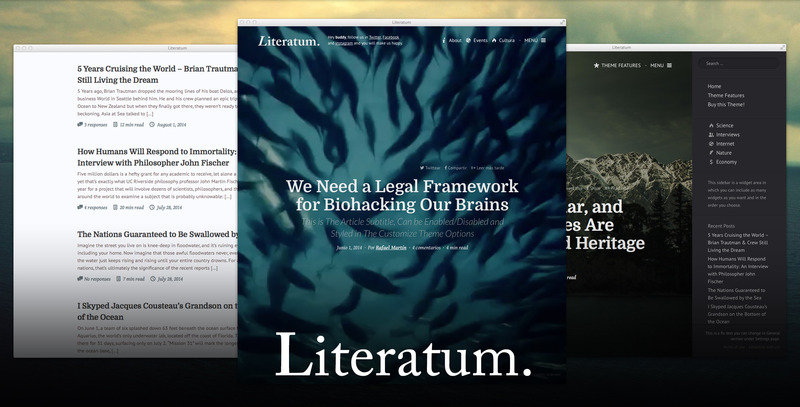 Read time: Literatum can automatically count how many words has every article to give to the reader an idea of its length and time it will take to read it. 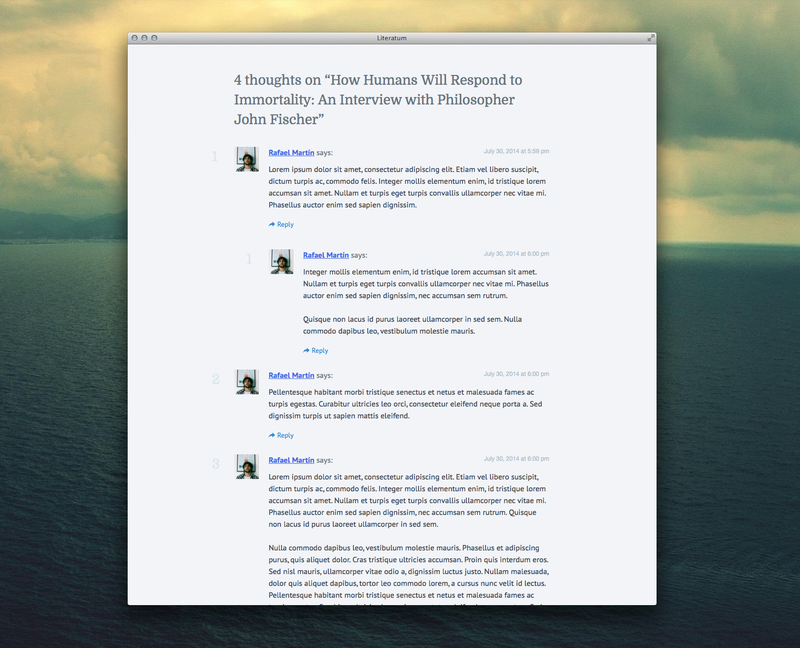 Third party comments (version 1.2.5+): You can use third-party comment systems in your articles. 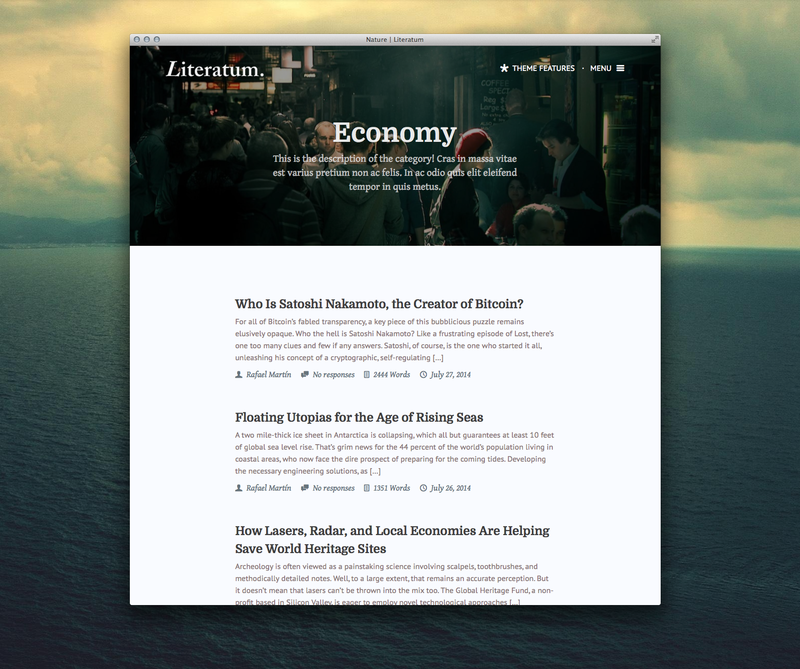 Literatum comes with integrated support for Disqus and Facebook Comments. 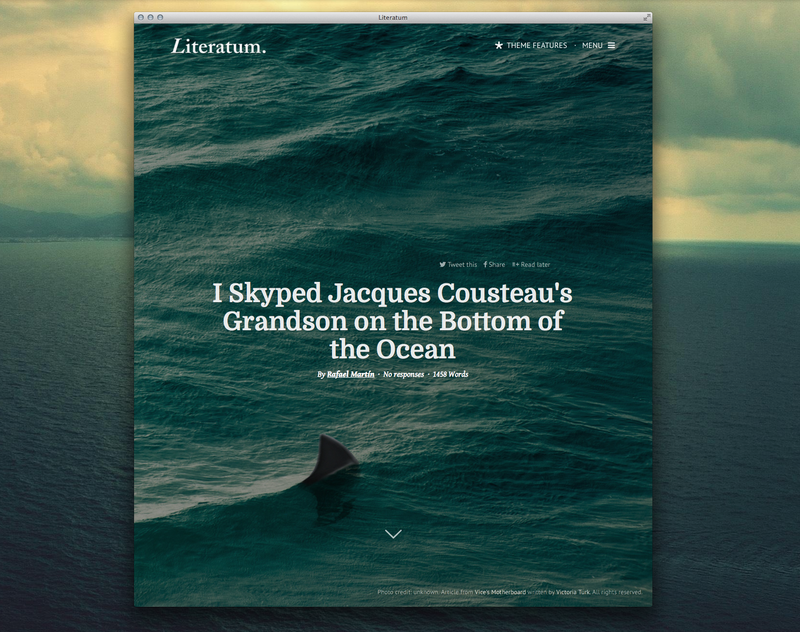 Compatible with Aesop Story Engine plugin (version 1.3.5+): Combine Literatum with Aesop Story Engine to convert your articles in interactive stories beautifully awesome. You can create parallax content, full-width videos and images, podcasts, chapters, timelines, etc. Check this example! 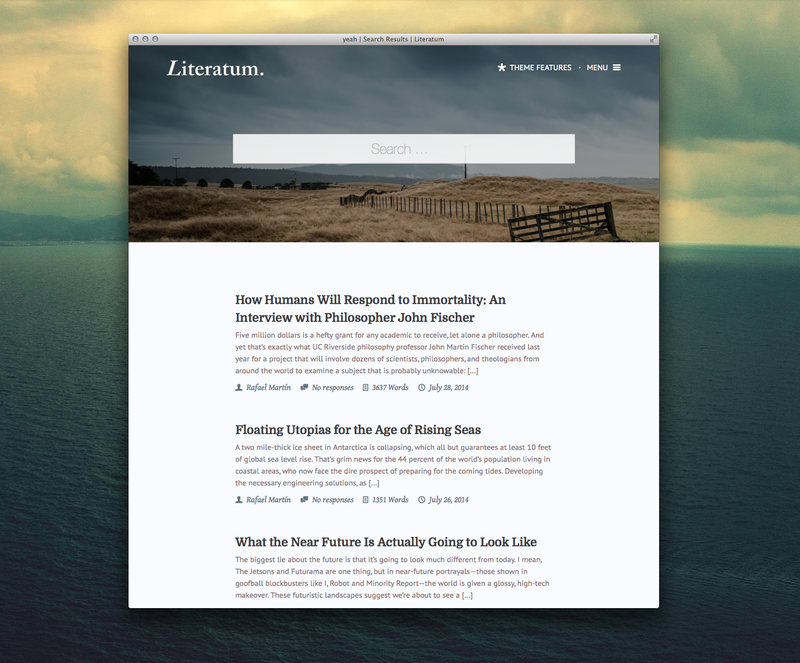 Literatum is compatible with Aesop version 1.2.1. Compatibility with upper versions it is not guaranteed, sorry. Deprecated in version 2! 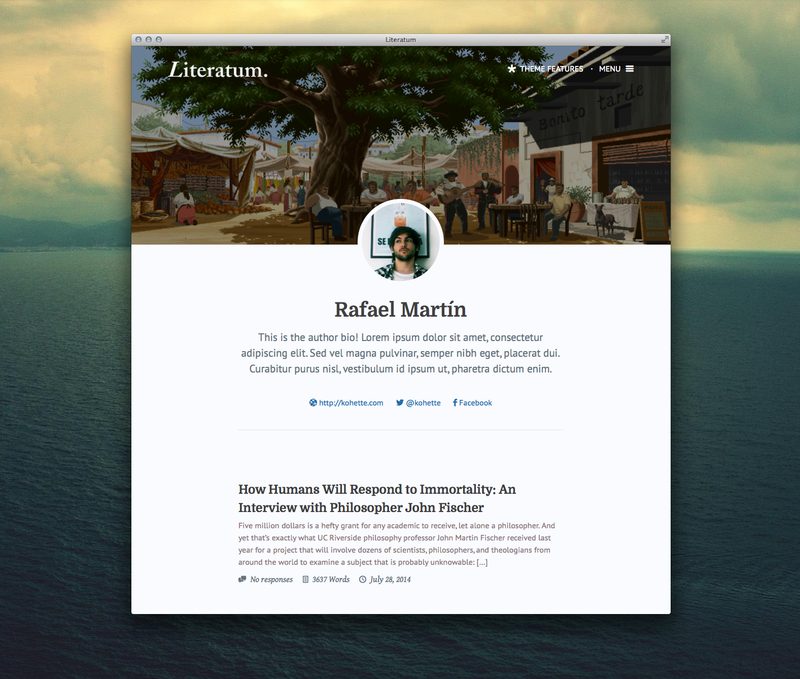 Combined CSS: Literatum combines automatically all the different stylesheets into one. This makes the site loading faster and helps to ease the management of styles while maintaining the stylesheets separated and organized internally in the theme folder. See image. Icons: Literatum imports a custom typeface that display icons anywhere on the page and let you manipulate them easily as if they were a text. 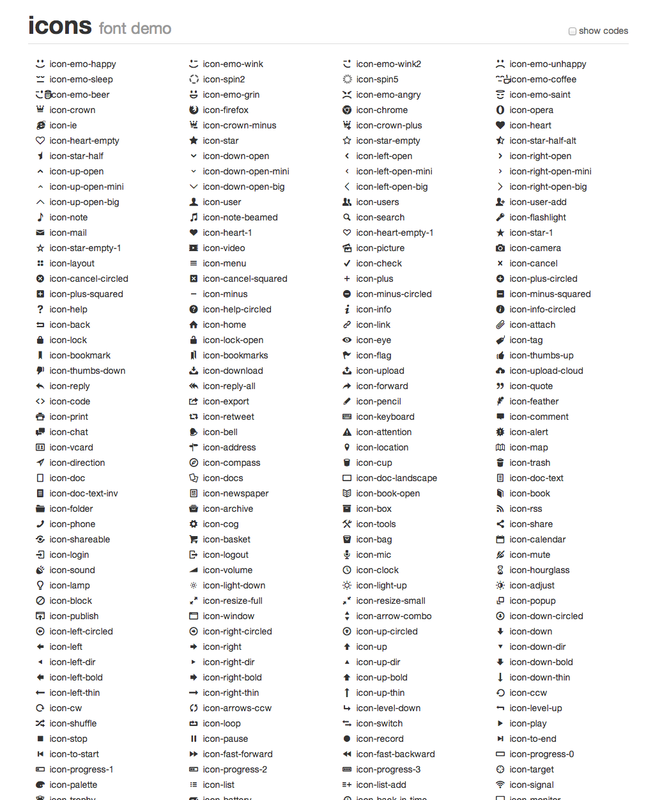 You can easily accompany the site menus and content of the articles with any of these over 400 icons by adding them as it is explained in the documentation. See image. Author?s contact field included. Every author can add their Twitter and Facebook username and will appear on the profile. 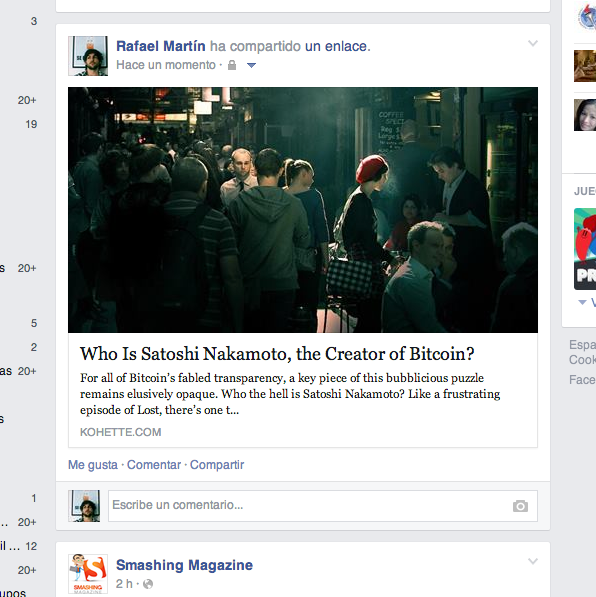 Besides, these contact data will be also used when any visitor shares an article on the social networks. - Added option to disable social media SEO metadata in theme features page. - Fix RTL text bug in post titles when format for titles is enabled. - Fixed save user information bug. - Fixed some responsive issues. - Support for Social Warfare plugin. - Fixed bug related to embed videos in mobile. - Fixed bug with dropcaps in mobile. - Fixed color in titles bug. 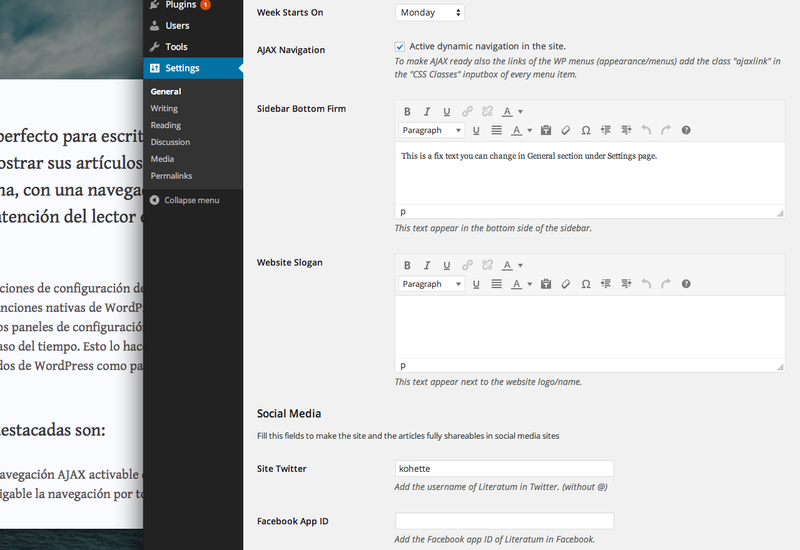 - Improved integration with Gutenberg. - Fixed crop logo bug. - Fixed AJAX navigation "go back" bug. - Added greek translation by Meymigrou (Thanks, Panos!). - Added subtitles for pages. 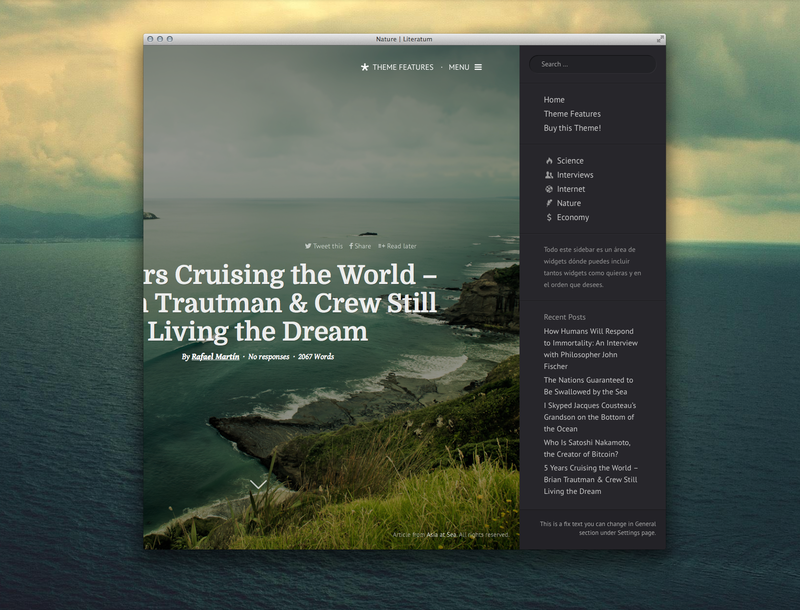 - Added new template to display full post covers (http://kohette.com/wpthemes/literatum/category/interviews/). - Added more customize options for the grid template (vertical align and text align). - Added "full width" header option in Site Identity section. - Fix scroll "touch" in iOS devices. - Added style for superscript elements. - Added a custom color templates system. - Fixed bug related with image links and AJAX navigation. - Fixed style related bugs in posts content elements. - Added new template "Masonry columns" available for categories, tags, archive, users, search and front page. 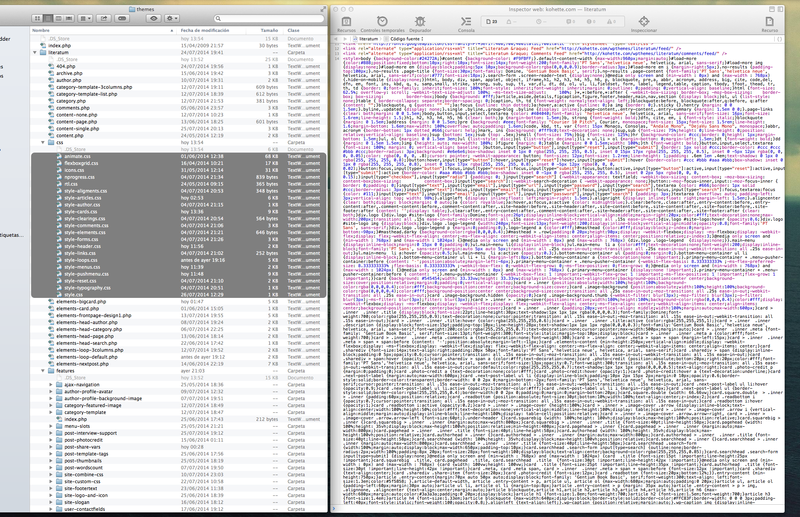 - The whole source code has been re-coded from scratch. - Improved CSS combine function (added cache, better performance and other options). - Added "Load your own js files" option. - Fixed minor bugs and some warning messages. - Added display post categories option for big covers. - Literatum is now compatible with Aesop Story Engine plugin! - Added filter by category for posts in frontpage. - Added support for Jetpack's carrousel and galleries. 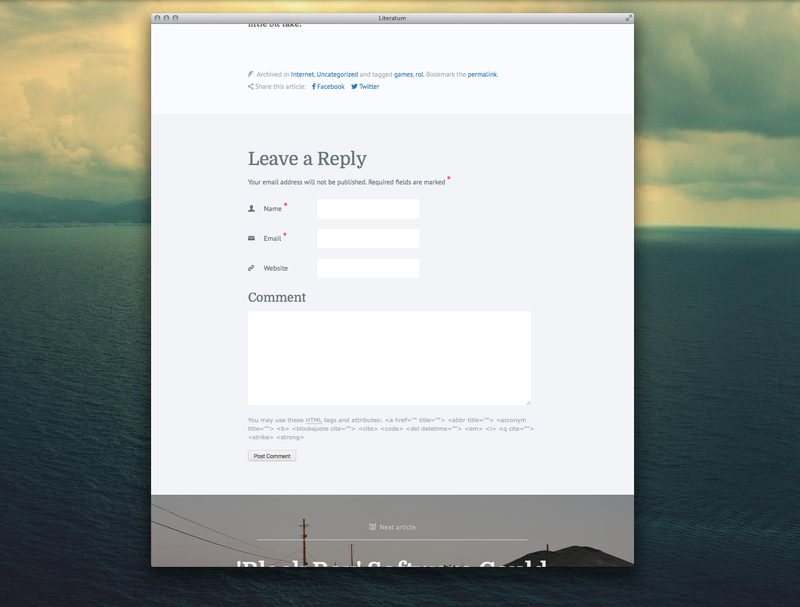 - Added options to change the style of the frontpage and customize it. 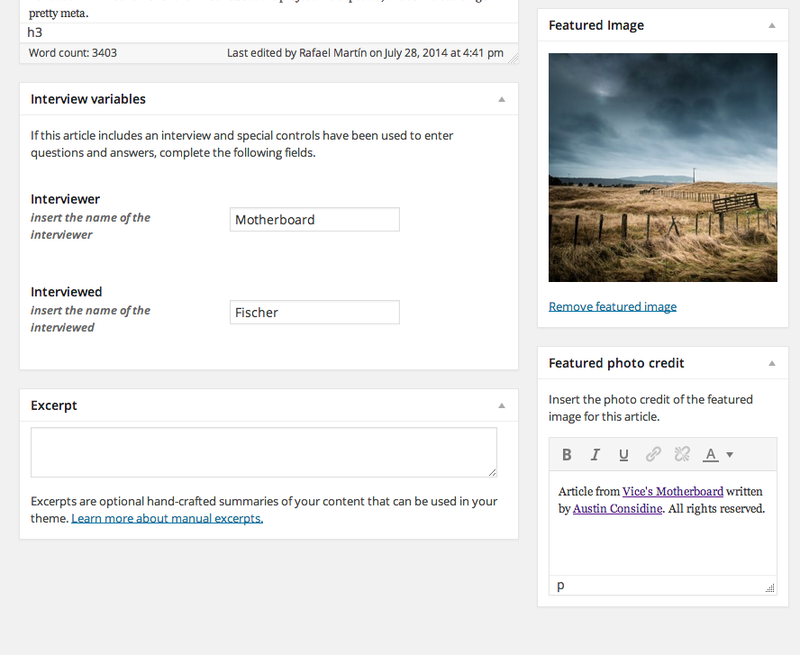 - Added widget area for posts content. 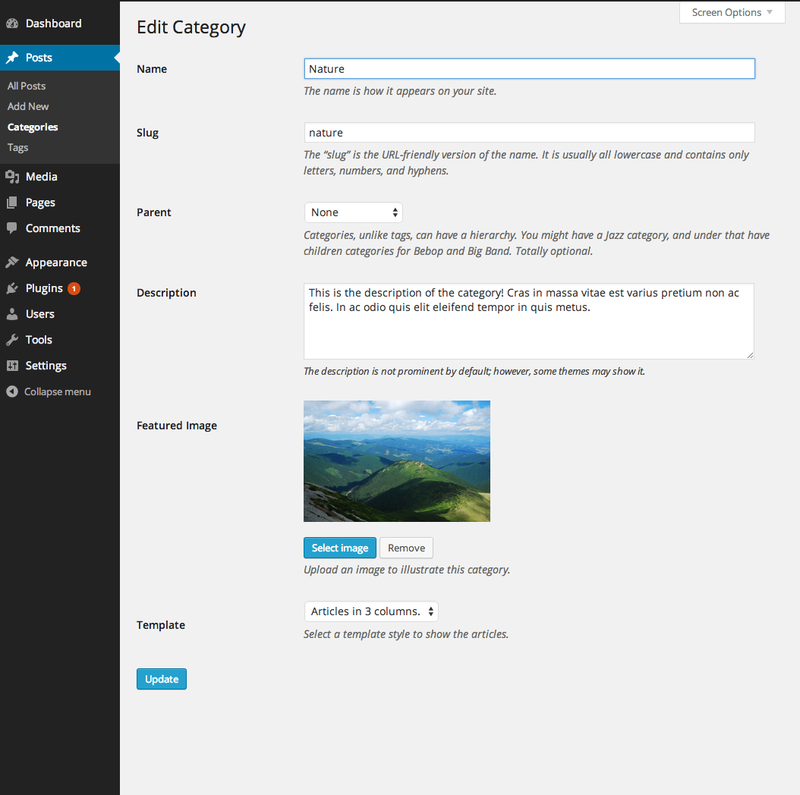 - Added option to set the post content width. - Added options to customize the font style of the main menu and site slogan. - Fixed archive page for posts. - Added subtitles for posts. - Added quit button in the push menu for mobile devices. - The theme it's now compatible with PHP 5.2.x. - Added Font Manager with hundreds of Google fonts. - A lot of new customize options. - Fixed CSS combine bug and other minor bugs. - Added Facebook Comments support. 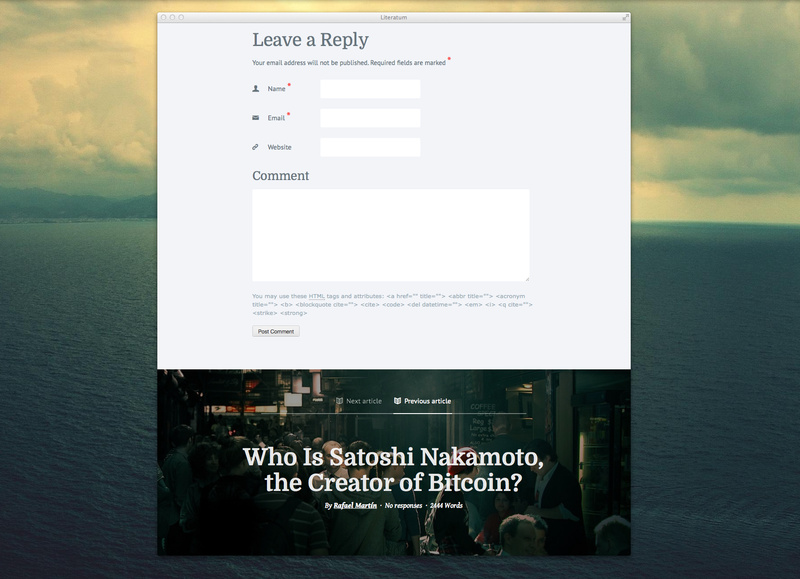 - Added Disqus comments support. - Added "back to top" button. - Added read time for posts. - Added video covers for posts. - Moved the basic options to the menu "theme options".